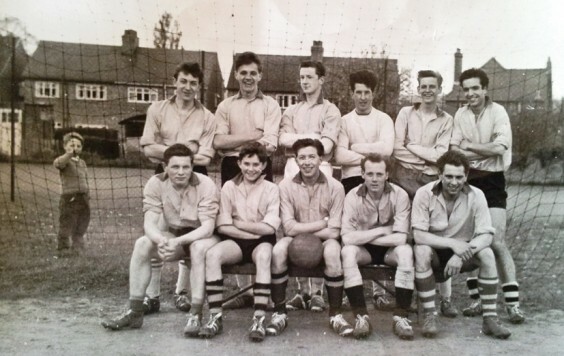 Following our December article on the early days of Hopwood United FC, reader Caroline Spreckley sent us this photo of the youth team in the 1961/62 season. The line-up includes Percy Freeman, who died in January. Also pictured is Robert Slater, son of the Westmead Country Club’s owner and team sponsor Joe Slater. When the team finished playing, the money raised became a charitable fund, of which the last remaining money was donated to The Lounge to assist with set-up costs at the request of team captain and treasurer Patrick Spreckley. Back row: Peter Crumpton; Percy Freeman; Roy Field; Mick Stevens (goalkeeper); Paul Griffin; unknown. Front row: Martyn Twitty; Robert Slater; Patrick Spreckley (captain); Tony Boot; unknown. Can you fill in the blanks? Let us know!